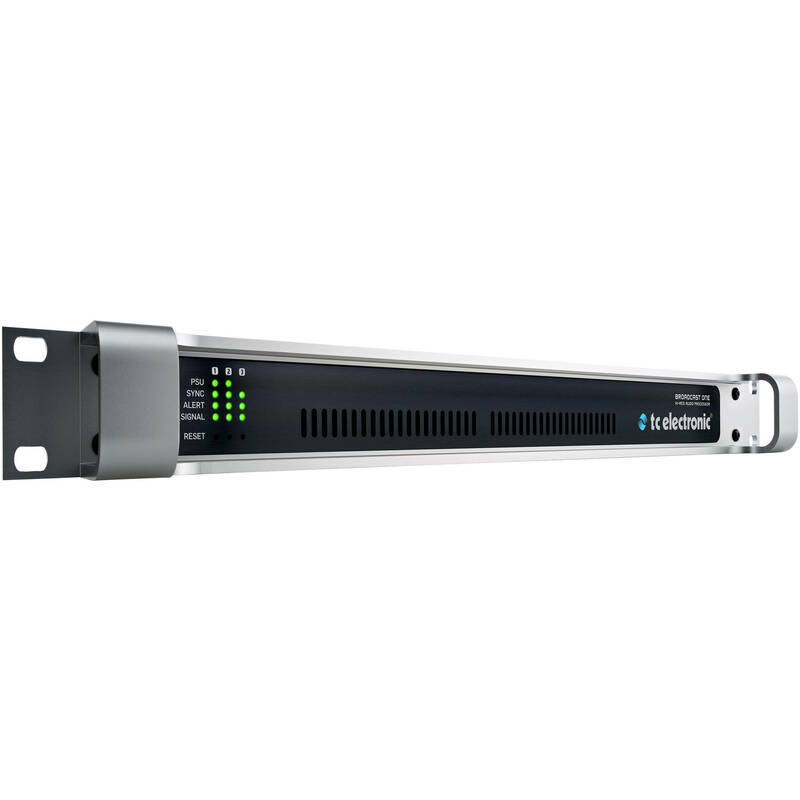 The TC Electronic Loudness Pilot 1XSDI is a broadcast transmission audio processor that provides dual-stereo and dual-mono loudness management to help broadcasters with their loudness responsibilities for TV, radio, and mobile applications. 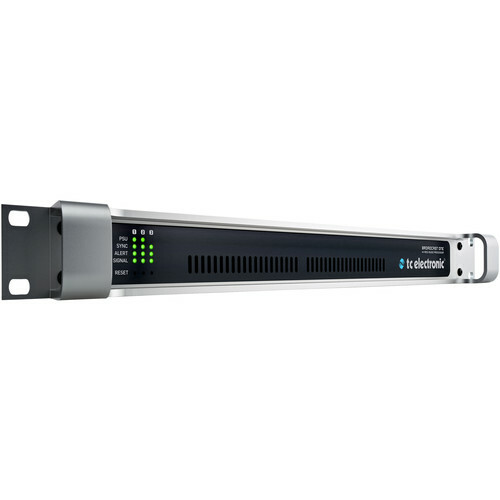 It employs a high-resolution ALC2 loudness control algorithm, which delivers high-quality audio with ultra-low latency, while allowing you to stay compliant with broadcast standards and legislation at all times. The Loudness Pilot 1XSDI comes with one 3G transmission card, giving you the ability to process one SDI stream with eight audio channels, right out of the box. The unit is expandable with one or two 3G transmission cards (available separately), increasing the number of simultaneous SDI streams to two or three and ideal for any station that needs to process multiple streams simultaneously. Audio loudness is measured at the input as well as the output of the Loudness Pilot. In between, the high-resolution ALC2 algorithm handles everything regarding loudness including automatic loudness correction, true-peak limiting, lip-sync delay with look-ahead capability, all in one single process and for a multitude of broadcast platforms. The unit comes with ready-to-use presets based on international standards. Each single 3G transmission card can run two ALC2 algorithms, allowing loudness processing for two TV channels or two languages simultaneously. It also provides loudness control for multiple platforms simultaneously, delivering for both HDTV and mobile applications in real time. The auto input switching function enables seamless fallback to a secondary source when the primary source is unavailable, and can switch over to a broadcast emergency channel when audio is detected on it. The Loudness Pilot 1XSDI features a full, dual-redundancy setup with dual fans, dual fuses, and dual power connectors, which you can use with independent power sources. In case of an emergency, the relay bypass passes your stream directly from input to output, ensuring a non-stop performance. This fit-for-purpose unit offers the option to add optional TC Electronic software processors including aNorm adaptive normalization loudness processing, SDI Metadata control, and the LM2 Loudness Radar meter, which gives you a complete loudness landscape overview at a glance. The Loudness Pilot is housed in a compact, 1 RU enclosure to help you save space in your equipment room. Included are two power cords and a USB memory stick with the TC Icon Software and Loudness Pilot Software for Mac and Windows. Note: Operating Loudness Pilot requires a TC Icon remote (available separately) or a computer running the included TC Icon software for Mac and Windows. Box Dimensions (LxWxH) 22.6 x 16.5 x 6.4"